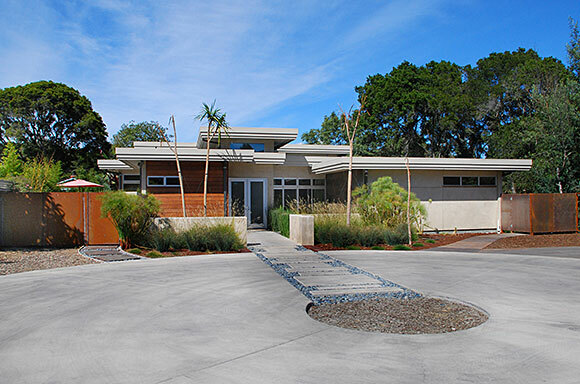 The owners of Viewpoint House had spent considerable time before they embarked on their project considering the architectural style with which they wished to express themselves, and were particularly enamored of 60's-vintage International Modern Style. 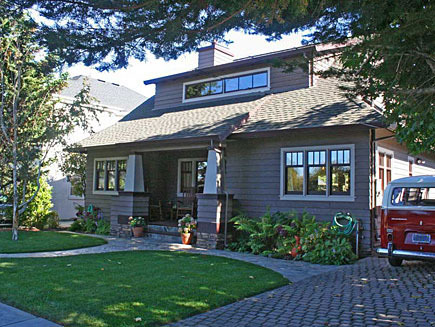 They had acquired a rather ordinary tract home, and came to us to create their dream home. Using this seed as our starting point, one of our first orders of business was going about understanding and then defining what this particular style meant in terms of their goals and ambitions for their lifestyle, the orientation, landform, and structure of their existing building, and other factors such as the regulatory environment. In researching the style, we relied heavily on the visual archives for precedents. The monogram "Modernism Rediscovered" (Pierluigi Serraino & Julius Shulman, ©2000 Taschen GmbH) was particularly helpful, becoming a point of reference in helping our clients understand the precedents, and choose among the many stylistic approaches and design solutions used by historical masters of the genre. 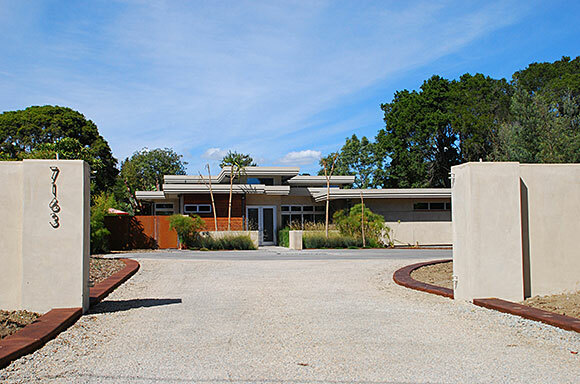 For example, the strong sculptural eave – a powerful design element which also provides thermal and glare control to the interior - was initially inspired by the explorations on the theme by Richard Neutra, particularly his Brice "Experimental" House in the Brentwood Heights District of Los Angeles. Finally, selecting an architectural palette of materials can be conceptualized as akin to a figure-ground composition. 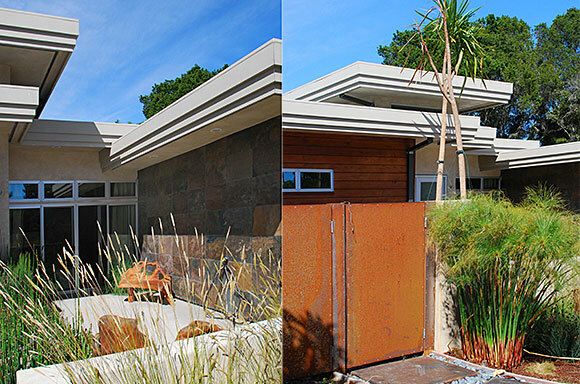 For this home we selected cement plaster as the "ground" material, honed quartzite and oiled redwood siding as the "figured" materials, with judicious touches of weathering ("Cor-ten") steel.